Malviya Nagar is a locality in South Delhi. It is between Saket and Hauz Khas and close to IIT Delhi. It is named after the noted freedom fighter Madan Mohan Malviya who was also an educator and founded Banaras Hindu University. Malviya Nagar was initially populated in the 1950s by refugees from Pakistan, after the Partition of India. 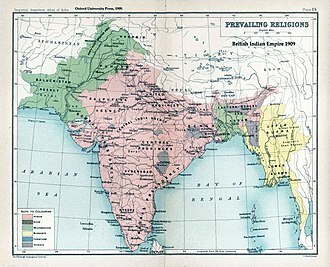 A large portion of the population were ethnic Rajasthani, U.P., Haryanvi, Punjabis and Sindhis. Today, Malviya Nagar is bounded by Panchsheel Enclave in the north, Sheikh Sarai in the east, Saket in the south and Sarvapriya Vihar in the west. 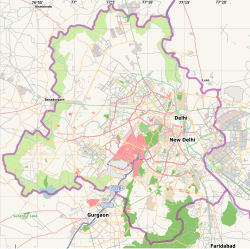 Enclaves that are part of Malviya Nagar include Geetanjali Enclave, Bhavishya Nidhi Enclave, Khirki Extension, Shivalik colony and Sarvodaya Enclave. It is serviced by the Malviya Nagar station of the Delhi Metro. Malviya Nagar is also home to Delhi Police's Training School. 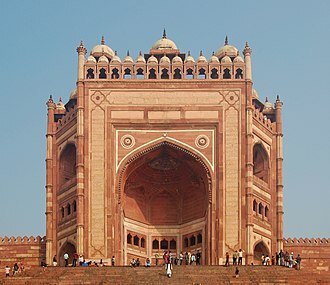 Lal Gumbad, Tomb of Shaikh Kaliruuddin, built in 1397, Malviya Nagar. Malviya Nagar has two major commercial shopping areas and markets and a speciality hospital. There are several neighbourhood parks that are popular jogging and running areas. 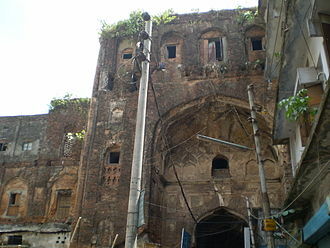 A number of Mughal era monuments are located in Malviya Nagar and are clustered close to the Corner Market. This includes the tomb of Sufi saint Sheikh Yusuf Qattal who lived during the reign of Ibrahim Lodhi and died in 1526-27. 16th-century Tomb of Sufi saint Sheikh Yusuf Qattal near Khirkee. Malviya Nagar main market houses several nationalised and public sector banks and ATMs including Axis Bank, Syndicate Bank, Punjab National Bank, State Bank of India, ICICI Bank, HDFC Bank, Canara Bank, Vijaya Bank, Kotak Mahindra Bank, Central Bank of India, Citibank, South Indian Bank, Andhra Bank, IDBI Bank, Indian Bank. 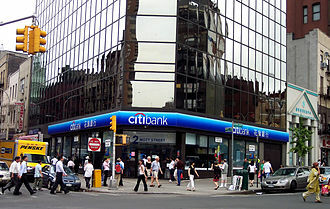 Some of the foreign banks are Standard Chartered Bank and Deutsche Bank. Route 413: Mehrauli to Nizamuddin, via Khel Gaon and Kranti Marg. Route 500: Saket to Shivaji Stadium. Route 501: Saket to Mori Gate in North Delhi, via Hauz Khas, Yusuf Sarai and AIIMS. Route 503: Malviya Nagar to Mori Gate in North Delhi, via the Main Market and Corner Market, Hauz Khas, Yusuf Sarai and AIIMS. Route 512: Ambedkar Nagar via Malviya Nagar, Hauz Khas, etc. Route 520: Malviya Nagar to Connaught Place, also via the Main Market and Corner Market, Hauz Khas, Yusuf Sarai and AIIMS. Routes 503 and 520 terminate at Malviya Nagar. Autorickshaws and taxis are also available for public transportation. There is an auto-rickshaw stand is at the Main Market and the roundabout near Shivalik Gate (which is also the Bus Depot). Saket is a nearby neighbourhood. The Delhi Metro Yellow Line to Gurgaon is functional and has a station at Malviya Nagar. Malviya Nagar is a constituency of the Delhi Assembly. Since 2013, the sitting Member of the Assembly has been Somnath Bharti of the Aam Aadmi Party. Malviya Nagar is part of the New Delhi (Lok Sabha constituency) and the current Member of Parliament is Meenakshi Lekhi. Malviya Nagar has two corporation seats ward no. 161 and 162 . Malviya Nagar is also residence of Kashmiri separatist leader Syed Ali Shah Geelani, where he lives for 3 months each year during winter in Jammu and Kashmir. Pakistani high commissioner to India Abdul Basit also met Geelani at his Malviya Nagar residence in March 2015. ^ Vidyarthi, Sanjeev (2008). "Inappropriate" appropriations of planning ideas. ProQuest LLC. p. 200. ^ Jha, Gangadhar (1988). Local finance in metropolitan cities : a study of Delhi (1st ed.). Delhi, India: Mittal Publications. p. 44. ISBN 81-7099-075-0. ^ "Delhi Metro Map". 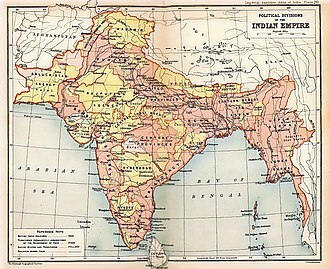 Maps of India. Retrieved 14 February 2012. ^ Menon, general editor N.R. Madhava (2002). Criminal justice India series. Ahmedabad: Allied Publishers in collaboration with National University of Juridical Sciences. ISBN 81-7764-488-2. ^ "Heritage agency breathes new life into Lodhi-era tomb". Hindustan Times. 12 May 2013. Retrieved 2013-09-23. ^ "Metro station Malviya Nagar, metro station Hauz Khas, Delhi". SSF Ingenieure AG. Retrieved 14 February 2012. ^ "Delhi Assembly List of Members". ^ "Lok Sabha MP Profile". ^ "Syed Ali Shah Geelani: The Man who Hates India". India Today. 30 October 2010. 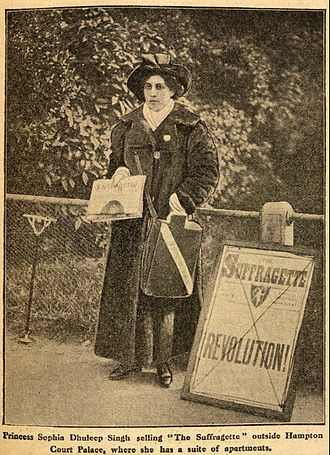 Retrieved 9 May 2015. ^ "Pak envoy meets Geelani, discusses India-Pak secretary level talks". Hindustan Times. 10 March 2015. Retrieved 9 May 2015. "Development issues to the fore in Malviya Nagar" The Hindu', Friday 21 November 2008. Hauz Khas is an affluent neighbourhood in South Delhi, its heart being the historic Hauz Khas Complex. It is centrally located and offers both rural and urban environments and its known as tazim ka chota quila. Hauz Khas is surrounded by Green Park, SDA to the west, Gulmohar Park towards the north, Sarvapriya Vihar towards the south and Asiad Village and Siri Fort) to the east. Hauz Khas is home to various missions such as the ones of Albania, Guinea Bissau, Burundi. Some well-known people like cricketer Virender Sehwag live here, Hauz Khas is named after an ancient water reservoir by the same name, now part of the extensive Hauz Khas Complex. In Urdu language, Hauz’ means “water tank” and ‘Khas’ means “royal”, the large water tank or reservoir was first built by Allauddin Khilji to supply water to the inhabitants of Siri Fort. It was developed during the 1960s by DLF as Hauz Khas Enclave, it was made a district of South Delhi encompassing some more neighbouring areas. Hauz Khasas known, consists of A, B, C, D, E, F, G, H, K, L, M, P, Q, R, X, Y, Z Blocks E block is the Main market here and lies in the middle of the colony. It includes a parking lot. G block and Aurobindo Market are other close by. Mayfair Gardens is an independent small private colony inside Hauz Khas, Hauz Khas has some of the largest green areas in Delhi, namely Deer Park and Rose Garden. It is near to the two hospitals in Delhi, AIIMS and Safdarjung Hospital. Hauz Khas village is a historic habitation around the region of the Hauz Khas Complex and it existed as an urban village at the edge of larger Hauz Khas area, developed by DLF after the 1960s. The village area started getting modernized in mid-1980s when designer boutiques of fashion designer like Bina Ramani, then, in the late 1990s restaurants started coming up in the area, today it has around 40 restaurants, bars and cafes. The success of Hauz Khas village has led to the development of Shahpur Jat and Lado Sarai as fashion, historical Places like the Hauz Khas Complex which consists the Hauz Khas Lake or Royal Tank, a mosque and a tomb, all from the time of the Khilji Dynasty. Neeli Masjid and Chor Minar, where the heads of executed thieves would be put on display in the earlier days, nearby landmarks include Siri Fort Auditorium, Siri Fort Sports Complex, HUDCO Place and Yusuf Sarai Community Centre. Syndicate Bank is one of the oldest and major commercial banks of India. It was founded by T M A Pai, Upendra Pai, at the time of its establishment, the bank was known as Canara Industrial and Banking Syndicate Limited. The bank, along with 13 major commercial banks of India, was nationalised on 19 July 1969, the Bank is headquartered in Manipal, India. The business with a capital of 8000 rupees, T M A Pai, Upendra Pai and Vaman Kudva strove together to set up the bank. The first branch of the bank started its operations in 1925 at Udupi, by 1937, it had secured its membership as a clearing house at Mumbai. The primary objective of the business was to extend the financial assistance to local weavers, the bank collected as low as two annas from the door steps of the depositors daily through its agents. The name of the bank was changed to Syndicate Bank Limited in 1964, the bank expanded its operations not only on the domestic front but overseas. It has a branch in London and the bank manages National Exchange Co.
in Doha, by 1978, it opened its 1000th branch at Hauz Khas, Delhi. Currently it has over 3500 branches and all branches are offering corebanking-e-banking services under anywhere-anytime-anyhow banking, Syndicate Bank has one branch in London, United Kingdom. Syndicate Bank sponsored the first regional bank in India by name Prathama Bank. The stocks of the Syndicate Bank are listed on Bombay Stock Exchange, National Stock Exchange, Mangalore Stock Exchange, Syndicate Bank made a partnership with UNEP to initiate a successful solar loan programme. It is a four-year $75855.6 million effort, launched in April 2003 to help accelerate the market for financing solar home systems in southern India. Presently, the bank is sponsoring 3 RRBs and all are profit making having total business of Rs.42101 crore with 1348 branches as on 31.03.2015, Prathama Bank Karnataka Vikas Grameena Bank Andhra Pragathi Grameena Bank. Recently, Syndicate Bank has achieved a feat of opening one million customer accounts in a span of 3 months. Mehrauli is a neighbourhood in the South West district of Delhi in India. It represents a constituency in the assembly of Delhi. The area is located close to Gurgaon and next to Vasant Kunj, naresh Yadav of Aam Aadmi Party is the current MLA from Mehrauli. Mehrauli is one of the seven ancient cities that make up the present state of Delhi, prithviraj Chauhan further expanded the fort and called it Qila Rai Pithora. He was defeated and killed in 1192 by Mohammed Ghori, who put his general Qutb-ud-din Aybak in charge, subsequently in 1206, after the death of Mohammed Ghori, Qutubuddin enthroned himself as the first Sultan of Delhi. Thus Delhi became the capital of the Mamluk dynasty of Delhi, Mehrauli remained the capital of the Mamluk dynasty which ruled until 1290. During the Khilji dynasty, the capital shifted to Siri, Mehrauli lies in the South West district of Delhi at 28°30′57″N 77°10′39″E. To its north lies Hauz Khas, Vasant Kunj lies to its West and Tughlakabad to its south. Like the rest of Delhi, Mehrauli has a climate with high variation between summer and winter temperatures. While the summer temperatures may go up to 46 °C, the winters can seem freezing to people used to a climate with near 0 °C. The soil of Mehrauli consists of sandy loam to loam texture, the water level has gone down in the recent past hovering between 45 m to 50 m due to rise in population. Though Mehrauli is like any ordinary neighbourhood today, its past is what distinguishes it in terms of architecture, ahinsa Sthal is a Jain temple located in Mehrauli, Delhi. The main deity of the temple is Mahavira, the 24th, a magnificent statue of Tirthankara Mahāvīra is installed here. Even though the capital shifted from Mehrauli after the Slave dynasty rule came to an end, the most visible piece of architecture remains the Qutb complex which was initiated by Qutub ud din Aybak with subsequent additions by Iltutmish and Alauddin Khilji. The Qutb complex is today a UNESCO world heritage site, mausoleum of a 13th century, Sufi saint, Khwaja Qutbuddin Bakhtiar Kaki is situated near the Qutub Minar Complex and the venue for the annual Phoolwalon-ki-sair Festival. The Delhi Metro is a metro system serving Delhi and its satellite cities of Faridabad, Gurgaon and Ghaziabad in National Capital Region in India. Delhi Metro is the worlds 12th largest metro system in terms of length and number of stations. A member of Nova Group of Metros, the network consists of five colour-coded regular lines, the system has a mix of underground, at-grade, and elevated stations using both broad-gauge and standard-gauge. The metro has a daily ridership of 2.661 million passengers. Delhi Metro Rail Corporation Limited, a company with equal equity participation from Government of India and Government of Delhi, built. DMRC operates around 2000 trips daily between 05,30 till 00,00 running with a headway varying between 1–2 minutes and 4–10 minutes, the trains are usually of six and eight-coach. The power output is supplied by 25-kilovolt, 50-hertz alternating current through overhead catenary, planning for the metro started in 1984, when the Delhi Development Authority and the Urban Arts Commission came up with a proposal for developing a multi-modal transport system for the city. Delhi Metro Rail Corporation was incorporated in May 1995, construction started in 1998, the development of network was divided into phases, Phase I containing 3 lines was completed by 2006, and Phase II in 2011. Phase III is scheduled for completion by 2017, rapid MetroRail Gurgaon which opened in 2013, whilst linked to Delhi Metro by the Yellow Line is a separate metro system, although tokens from the Delhi Metro can be used in its network. The concept of a rapid transit for New Delhi first emerged from a traffic. Over the next years, many official committees by a variety of government departments were commissioned to examine issues related to technology, route alignment. Consequently, traffic congestion and pollution soared, as a number of commuters took to private vehicles with the existing bus system unable to bear the load. Dr. E. Sreedharan handed over the charge as MD, physical construction work on the Delhi Metro started on 1 October 1998. DMRC was given powers to hire people, decide on tenders. Not to be confused with the Sindi people. Sindhis are an Indo-Aryan ethno-linguistic group who speak the Sindhi language and are native to the Sindh province of Pakistan, Sindhi culture is highly influenced by Sufi doctrines and principles. Some of the cultural icons are Raja Dahir, Shah Abdul Latif Bhitai, Lal Shahbaz Qalandar, Sachal Sarmast. 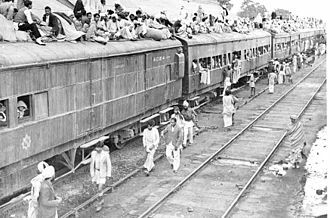 After the partition of India in 1947, most Sindhi Hindus and Sindhi Sikhs migrated to India, according to the 1998 census of Pakistan, Hindus constituted about 8% of the total population of Sindh province. Most of them live in areas such as Karachi, Sukkur. Hyderabad is the largest centre of Sindhi Hindus in Pakistan with 100, the original inhabitants of ancient Sindh were believed to be aboriginal tribes speaking languages of the Indus Valley Civilization around 3300 BC. Moen-jo-Daro is the symbol of Indus Valley Civilization in World, the Indo-Aryans are believed to have founded the Vedic civilization that existed between the Sarasvati River and Ganges river around 1500 BC. This civilization helped shape subsequent cultures in South Asia, because of its location at one of the more western edges of South Asia, Sindh was one of the earliest regions to be influenced by Islam after 632 AD. 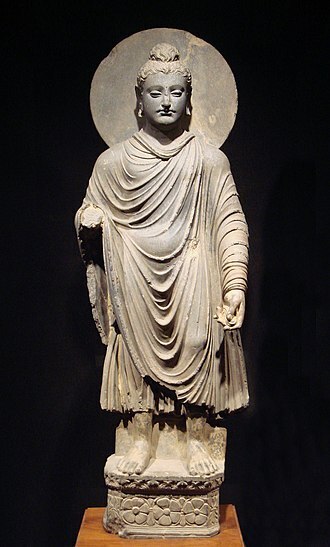 Before this period, it was heavily Hindu, and Buddhist, after 632 AD, it was part of the Islamic empires of the Abbasids and Umayyids. Habbari, Samma, Arghun dynasties ruled Sindh, the region received its name, from the River Sindhu. The people living in the region are referred to as Sindhi, the terms Hindi and Hindu are derived from the word Sindh and Sindhu, as the ancient Persians pronounced s as h. India is known as Hindustan and these tribes belong to the same blood line. Among other Sindhi Rajputs are the Bhachos, Bhattis, Mahendros, Lakha, Lohanas, Dahars, Chachar, Rathores, Langah, etc. The Sindhi-Sipahi of Rajasthan and the Sandhai Muslims of Gujarat are communities of Sindhi Rajputs settled in India, closely related to the Sindhi Rajputs are the Jats of Sindh, who are found mainly in the Indus delta region. The Rajasthani people are the native inhabitants of Rajasthan region of India. Their language Rajasthani is a part of the group of Indo-Aryan languages. 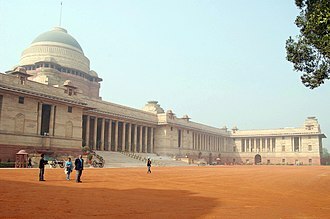 The first mention of word Rajasthan comes from the works of George Thomas, Rajasthan literally means a Land of Kingdoms. However, western Rajasthan with eastern Gujarat were part of Gurjaratra or Gurjarabhumi, the local dialects of the time use the expression Rājwār, the place or land of kings, corrupted by the British to Rajputana. Although history of Rajasthan goes back as far as Indus Valley Civilization, Western Kshatrapas were rulers of the western part of India. They were successors to the Indo-Scythians who invaded the area of Ujjain and established the Saka era, Saka calendar is used by Rajasthani community and adjoining areas such as Punjab and Haryana. With time their social structures got stronger reorganizations giving birth to several martial sub ethnic groups, Rajasthanis emerged as major merchants during medieval India. Rajasthan was among the important centers of trade with Rome, eastern Mediterranean, Romani people Some claim that Romani people originated in parts of the Rajasthan. 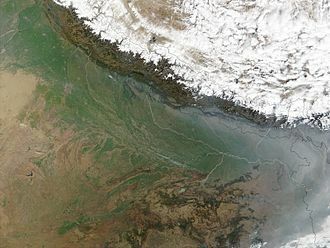 Indian origin was suggested on linguistic grounds as early as 200 years ago, the roma ultimately derives from a form ḍōmba, attested in Classical Sanskrit. 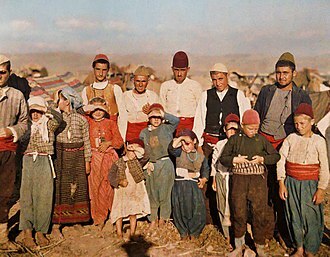 Linguistic and genetic evidence indicates the Romanies originated from the Indian subcontinent, contemporary populations sometimes suggested as sharing a close relationship to the Romani are the Dom people of Central Asia and the Banjara of India. The origin of Rajasthanis has largely fallen into oblivion for there are no surviving records from ancient times. Nonetheless. The erstwhile state of Alwar, in north-eastern Rajasthan, is possibly the oldest kingdom in Rajasthan, around 1500 BC, it formed a part of the Matsya territories of Viratnagar encompassing Bharatpur and Karauli. Rajasthani society is a blend of predominantly Hindus with sizable minorities of Muslims and Vaishnavism is followed by majority of the people, Shaktism is followed in the for of Bhavani and her avatars are equally worshiped throughout Rajasthan. Jats are mostly Hindus and Sikhs, Meenas of Rajasthan till date strongly follow Vedic culture which usually includes worship of Bhainroon and Krishna as well as the Durga. Vijaya Bank is a fastest growing public sector bank with its corporate office in Bangalore, India. It is one of the banks in India. The bank offers a range of financial products and services to the customers through its various delivery channels. The bank has a network of 1900 branches throughout the country, Vijaya Bank was established by a group of farmers led by Shri. Attavar Balakrishna Shetty on 23 October 1931 in Mangalore in Dakshina Kannada District of Karnataka State, since it was established on the auspicious Vijayadashami Day, it was named Vijaya Bank. The birth of Vijaya Bank in 1931 was preceded by the chaos created out of the Great Depression of 1927–30. The worldwide economic depression had severe impact on the Indian economy, moved by the pitiable conditions of the agriculturists, Shri Attavara Balakrishna Shetty was determined to devise some institutional remedy to annihilate their sufferings. Accordingly, Shri AB Shetty involved 14 Bunts and established Vijaya Bank on 23 October 1931, in the beginning the bank had an authorised capital of Rs.5 lakh and an issued capital of Rs.2 lakh. The paid up capital was Rs.8670, the bank grew steadily since its inception. The bank became a bank in 1958. Under the chairmanship of ], Vijaya Bank steadily grew into a large All India Bank with 9 smaller banks merging with it during 1963–1968, in 1965, the bank registered its own logo. The banks head office was shifted to Bengaluru on November 11,1969, the bank was nationalised on 15 April 1980. At the time of nationalization, the bank had 571 branches, with a business of Rs.605.95 crore. The present head office building of the Bank at Mahatma Gandhi Road, Bengaluru was inaugurated by the Hon’ble President of India Shri Pranab Kumar Mukherjee on 26 October 1984. The banks total business is over Rs.2,16,000 crore comprising deposits of Rs.1,25,441 crore, basically being a retail bank, its topline growth owes quite a lot to the retail segments. Retail advances of the bank constitute 26% of the gross credit, as on 31 August 2016, the bank had a wide branch network of 1900 branches comprising nearly 395 metro,474 urban,508 semi-urban and 486 rural branches. State Bank of India is an Indian multinational, public sector banking and financial services company. It is a corporation with its headquarters in Mumbai, Maharashtra. The company is ranked 232nd on the Fortune Global 500 list of the worlds biggest corporations as of 2016. The bank traces its ancestry to British India, through the Imperial Bank of India, to the founding, in 1806, of the Bank of Calcutta, making it the oldest commercial bank in the Indian subcontinent. Government of India owned the Imperial Bank of India in 1955, with Reserve Bank of India taking a 60% stake, in 2008, the government took over the stake held by the Reserve Bank of India. State Bank of India is a banking behemoth and has 20% market share in deposits and loans among Indian commercial banks. The roots of the State Bank of India lie in the first decade of the 19th century, the Bank of Bengal was one of three Presidency banks, the other two being the Bank of Bombay and the Bank of Madras. All three Presidency banks were incorporated as joint stock companies and were the result of royal charters and these three banks received the exclusive right to issue paper currency till 1861 when, with the Paper Currency Act, the right was taken over by the Government of India. The Presidency banks amalgamated on 27 January 1921, and the banking entity took as its name Imperial Bank of India. 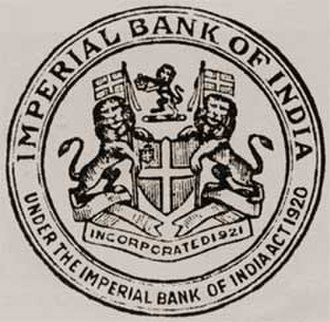 The Imperial Bank of India remained a joint stock company but without Government participation, pursuant to the provisions of the State Bank of India Act of 1955, the Reserve Bank of India, which is Indias central bank, acquired a controlling interest in the Imperial Bank of India. On 1 July 1955, the imperial Bank of India became the State Bank of India, in 2008, the Government of India acquired the Reserve Bank of Indias stake in SBI so as to remove any conflict of interest because the RBI is the countrys banking regulatory authority. In 1959, the government passed the State Bank of India Act and this acquisition was in tune with the first Five Year Plan, which prioritised the development of rural India. The government integrated these banks into the State Bank of India system to expand its rural outreach, in 1963 SBI merged State Bank of Jaipur and State Bank of Bikaner. SBI has acquired local banks in rescues, the first was the Bank of Bihar, which SBI acquired in 1969, together with its 28 branches. Maharana Pratap, a ruler and great warrior of his time. Metro station and train entering. A Phase II broad gauge train, supplied by Bombardier. Mahatma Gandhi visiting the dargah of Qutbuddin Bakhtiar Kaki, on his Urs, 27 January 1948. Ahinsa Sthal : 13 feet 6 inches Mahaveer single rock idol. The use of elephant-shaped column brackets in buildings of the Lahore Fort reflects Hindu influences on Mughal Architecture during the reign of Akbar. Firuz Shah Tughlaq's tomb with adjoining Madrasa and the Hauz Khas, the "royal tank". Abida Parveen is a Pakistani singer of Sindhi descent and an exponent of Sufi music. Delhi Police pictured on TVS Apache bikes during patrolling. A Delhi Police All Women PCR vehicle. The car pictured is a Toyota Innova.